shipped thousands across the country. right, and Mrs. Clinton’s on the other side facing to the left. He concluded, “Evidently, we aren’t the only people who are undecided. 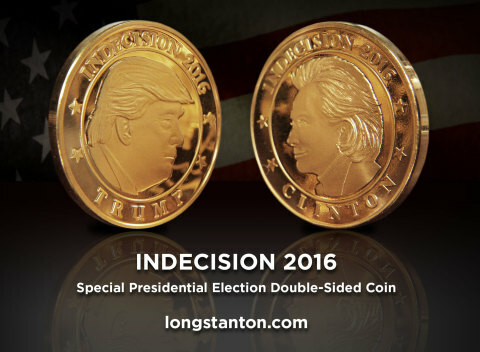 Trump-Clinton campaign coin as a keepsake of such a historical election.